Curious Mind by Brian Gazer Since Curiosity is a VIA strength, I am putting this one on the top of the list. Through great life story-telling, Gazer, teaches you how to develop the strength, how he used it to ground his success, and how you can expand you life by doing some of the same exact things. The only barrier to entry is your willingness to do the work. My kind of book! MONEY Master the Game by Tony Robbins This book is not about getting out of debt, but how to invest wisely. I was personally shocked how detailed the book was. I will admit to not trusting Robbins as a resource on this topic so I had the content checked. I had the advise vetted by several financial advisors who could not find anything of significance to disagree with. I started using this book as a personal wealth building book with clients — and myself! Stop Acting Rich by Thomas J. Stanley I found this book to be a good primer for high-earning clients who could not figure out why they make so much money and have so little money! Make Money, Not Excuses by Jean Chatzky Chatzky’s work is solid and speaks to females from a standpoint that causes you to pay attention. The Don’t Die Principle, You Teach What You Need To Learn clearly grounded Chatzky’s career in finance. Are You Fully Charged? by Tom Rath I wrote a blog on this book recently. One habit I changed since reading the book was I began to wear a fitness band during sleep. I have been very resistant to doing this for the last few years, but was convinced to try because of the research presented in this book. Eat Move Sleep by Tom Rath Great addition to my wellness library and a book men can relate to. Goddesses Never Age by Dr. Christiane Northrop The first two chapters are worth buying the whole book. Read other chapters according to your interest. In some ways I think this book is the female counterbalance to Fully Charged and Sleep, Eat, Move. Shifting Sands by Steve Donahue should belong in the oldies but goodies category, but honestly, I have never had a male client read who did not find value…and I have never gone a year without at least one reading the book. Rising Strong by Brene’ Brown. Having just published my memoir Don’t Die Waiting to Be Brave, I found so much of my work aligning with this book. Of course Brene’s book is filled with super research, mine is applied, applied, applied! 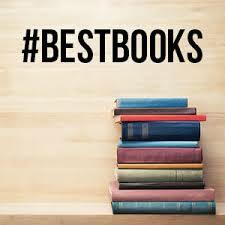 Then there is another list, deeply personal with books from the spiritual side of psychology. If you would like that list, please write me privately at DrSuccess@ServingSuccess.com.